We round up the latest rumors on Samsung's next phone-tablet hybrid device. Updated 7/28/16: Added more information about upcoming S Pen features and the official Galaxy Unpacked launch event. It’s hard to believe that it’s been five years since Samsung’s first phone-tablet hybrid device launched the phablet movement. And it’s still going strong: The Galaxy Note 7 rumors have begun ramping up across Android fan sites and technology blogs, and we’re joining in the fun. We’re curious to see what the Korean electronics giant will reveal for its sixth-generation phablet in just a few months, and we’ll be updating this page as we hear more from the rumor mill. Confused about why we’re referring to the sixth-generation Note variant as the Galaxy Note 7? Well, Samsung has apparently opted to skip the number six and jump straight to seven in an effort to keep its marketing on par with the rest of the Galaxy S7 family. It’s also to help clear up any confusion that might have been caused by last year’s consecutive release of the Galaxy S6 Edge+ and Galaxy Note 5. 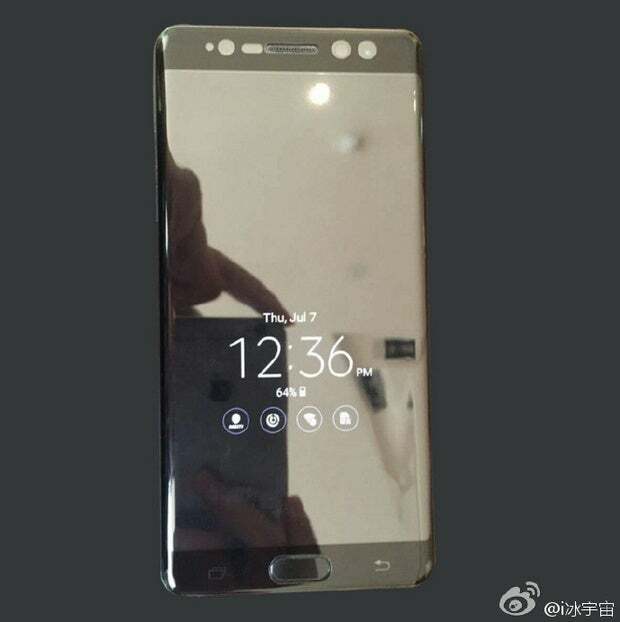 A render of the Galaxy Note 7. 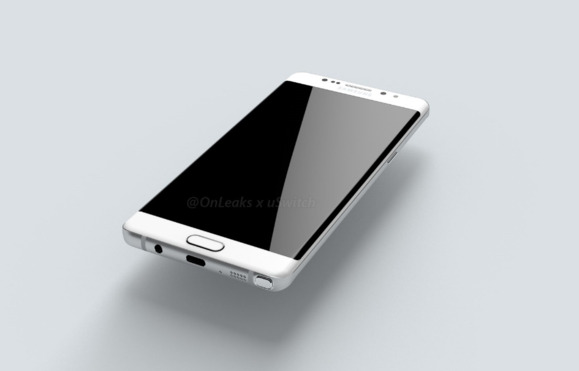 A YouTube video from Techconfigurations offers a 3D-rendered glimpse at what the Galaxy Note 7 might look like. At present, it resembles an outstretched version of its Edge flagship counterpart, but with a small slot on the bottom that houses a retractable stylus. Curiously, the video from Techconfigurations shows us a USB Type-C port. It’s intriguing considering this year’s Galaxy S7 family came equipped with Micro USB. 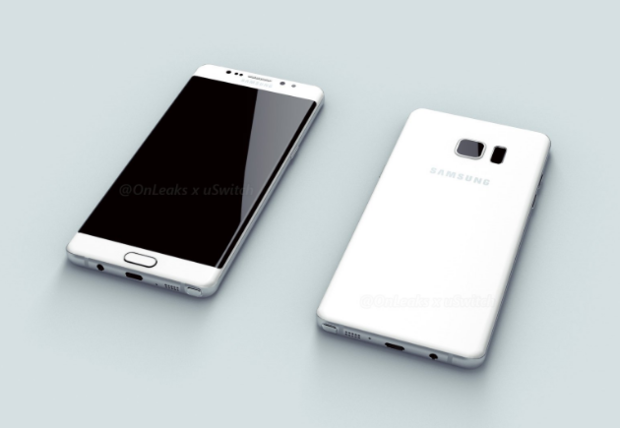 OnLeaks has also teamed up with USwitch to publish a few renders of what the Galaxy Note 7 might look like. It also shows USB Type-C in one of the images, which you can see below. USB-C would make the Note 7 incompatible with the current GearVR, so either Samsung is willing to forego that entirely, or it plans to release a USB-C based version of the accessory. An adapter would likely not fit. The S Pen comes with plenty of software tools. It will also work with the always-on display to allow you to take notes at all times, similar to how the Note 5 lets you quickly take a note on the lock screen. We’ll definitely have to see what other tools are going to be packed in to Samsung’s stylus when the Note 7 launches. 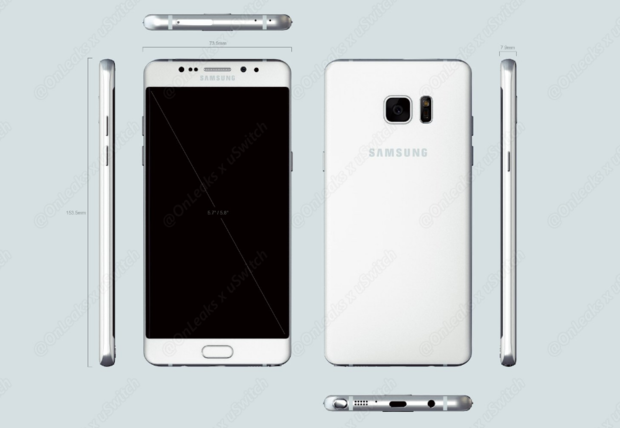 Another render of the Galaxy Note 7. The Techconfigurations video alludes to a Galaxy Note 7 with a 5.8-inch Super AMOLED display, 6GB of RAM, and up to 256GB of storage space. We’re still murky on what’s powering the device, though. The same video states that the Note 7 will run on a Snapdragon 823 processor, which we know very little about. There are rumors that the SoC will be manufactured on a 10nm process and feature second-generation Kryo application cores, but nothing has been officially announced by Qualcomm. Even SamMobile, the intrepid Samsung fan site, seems dubious about that claim. It’s more likely that the 823 is very similar to the 820, only with higher clock speeds. There have also been rumblings that, like the Galaxy S7 family, the Note 7 will feature IP68 water- and dust-resistance , which should keep It safe in up to five feet of water for a maximum of 30 minutes. And if USB Type-C compatibility is true, it’s likely the Note 7’s alleged 4,000mAh battery pack will support QuickCharge 3.0 and fast wireless charging, too. Samsung has apparently trademarked the terms “Galaxy Iris” and “Galaxy Eyeprint,” which lends some credence to the idea that iris scanning is on its way. The Galaxy Note 7 should feature an iris scanner in place of, or in addition to, Samsung’s existing fingerprint scanner. That would enable you to simply stare at the screen or front-facing camera to unlock the phone, rather than pressing and holding on the Home button. It sounds far-fetched, but it’s entirely likely given Samsung’s history with eye-tracking technology and its latest tablet release in India. An apparent snippet of an order form shows that Samsung’s ordered the parts to make iris scanning happen. There’s also an order form floating around the Android blog network that shows Samsung has ordered the appropriate parts for the technology. However, there’s no guarantee those parts will show up in the Note 7. 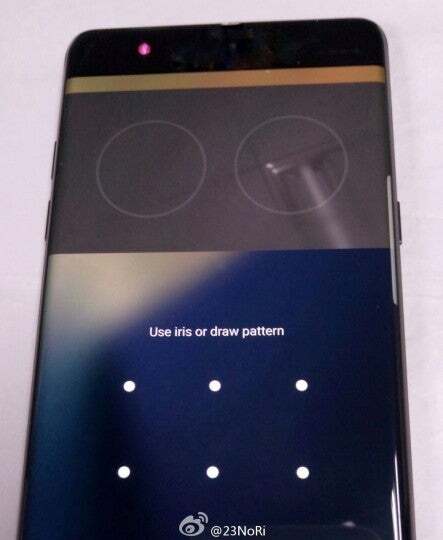 Our first look at this comes in a report from SamMobile, who has an image purportedly showing the iris-scanning interface on the unlock screen (along with the usual pattern option). The iris scanning interface shown here is rather plain, but we hope Samsung is going for speed over fancy visuals. Samsung offered few minor improvements to its Touchwiz interface between Lollipop and Marshmallow, but rumors point to change on the horizon. Unfortunately, there are no details on any of the new S-Pen or S-Note features that might come with the Galaxy Note 7. Those rumors will hopefully emerge in the coming weeks. Dutch site TechTastic posted a photo of the always-on display that may point to an interesting improvement. It clearly shows Wi-Fi status and SIM status, and possible third-party app support (does that leftmost icon say “DirectTV?”). The limited info on the always-on display has been a major complaint of TouchWiz on the Galaxy S7, and we’d love to see all notifications there. TechTastic’s track record is unproven, but the photo looks legit. Hopefully this feature comes in a software update to Galaxy S7 owners. Will the always-on display finally show all notifications? Samsung has announced the Note 7 will be unveiled at its Samsung Galaxy Unpacked event on Aug. 2 in New York City. We’ll follow along live and have hands-on impressions of the Note 7. Other launch events are planned in London and Rio de Janeiro. The U.S. kickoff is scheduled for 11 AM EDT. In terms of non-official details, an advertisement recently leaked out that offers a few hints of what else is to come. The video alludes to new ways to unlock the phone and potential waterproofing by showing the phone going for a dip. It sums up what we’ve seen: the Note 7 will be like a bigger, sexier version of the S7 Edge with new S Pen features and more Samsung hardware and software innovations. How well they’ll pan out is something we’re looking forward to trying out.